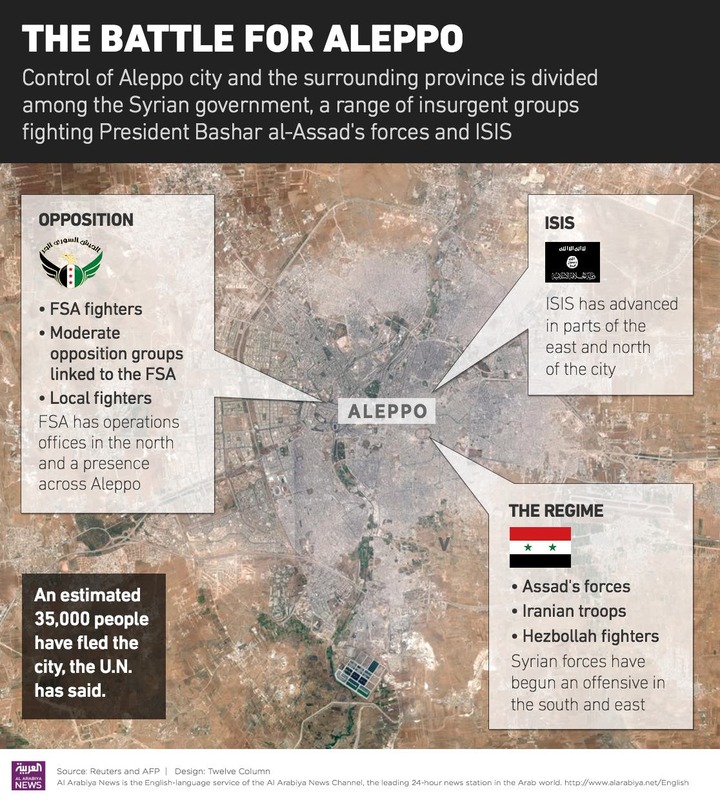 As the Syrian government and its allies continue their offensive to recapture the city of Aleppo, a series of blows dealt recently to the Free Syrian Army (FSA) have raised questions over whether it can successfully fight for a city once seen as its bastion. 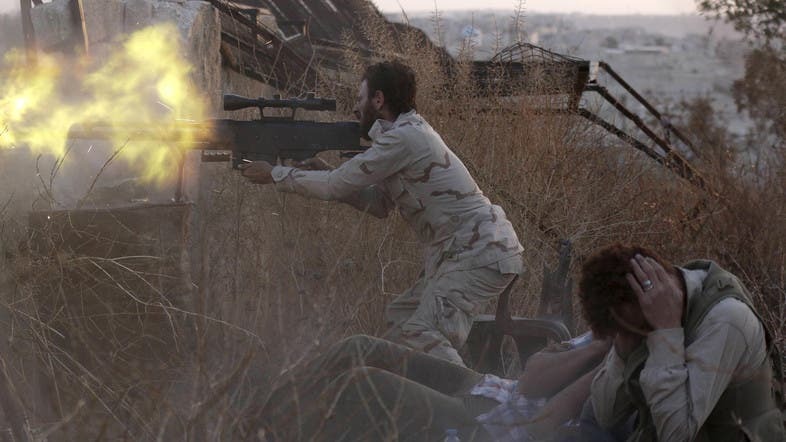 Russian airstrikes, now entering their third week, have repeatedly hit opposition fighters, including FSA members. With Russian aerial bombardment, Syrian army troops, and Iranian and Lebanese Hezbollah fighters on one front, and the Islamic State of Iraq and Syria (ISIS) on another, this battle is a formidable test for the FSA, analysts say. “Because ISIS is trying to take advantage of this offensive, it’s an unfair fight... It’s very tough,” Mohamed Ghanem, senior political adviser and government relations director at the Syrian American Council in Washington, told Al Arabiya News. Despite the odds, the FSA and other rebels have two main advantages in Aleppo, he added: “The rebels are locals from Aleppo... These are their neighborhoods, their province and their city, and anti-tank missiles are helping. The United States halted its training program for Syrian rebels last week, saying it would focus instead on arming vetted rebel groups, but not with advanced weaponry such as anti-aircraft missiles. Rebels from three FSA-affiliated groups told Reuters news agency on Monday that U.S.-made arms supplies had arrived since the start of the attack. However, officials from one group said they were not enough for the scale of the assault. The Western-backed National Coalition for Syrian Revolutionary and Opposition Forces (SNC) has urged the international community to step up military aid following Russia’s intervention. “We need anti-aircraft weapons in addition to anti-tank arms. If these arms don’t arrive, the opposition will be in a very tough situation,” SNC Vice-President Hesham Marwa told Al Arabiya News. The United States has long opposed supplying rebels with anti-aircraft missiles, over concerns they may fall into the hands of forces that may use them against Western targets or commercial airlines. If the offensive was not supported by airstrikes, “I think the rebels would have a much better chance of winning this fight,” Ghanem said. Fayez al-Dweiri, a retired major general in the Jordanian army and a military analyst, said until there was an upgrade in the kind of weaponry being supplied to opposition forces, it would be difficult for the FSA to stand its ground. “Supporting countries must support these groups with anti-aircraft weapons. If that doesn’t happen, I don’t see the rebels capable of taking the attack,” he told Al Arabiya News.